It was around 10 o’clock on a bright and warm Sunday morning. The sky was cloudless with no rain on the horizon. But, on the way out to check for eggs, we could tell something was amiss. 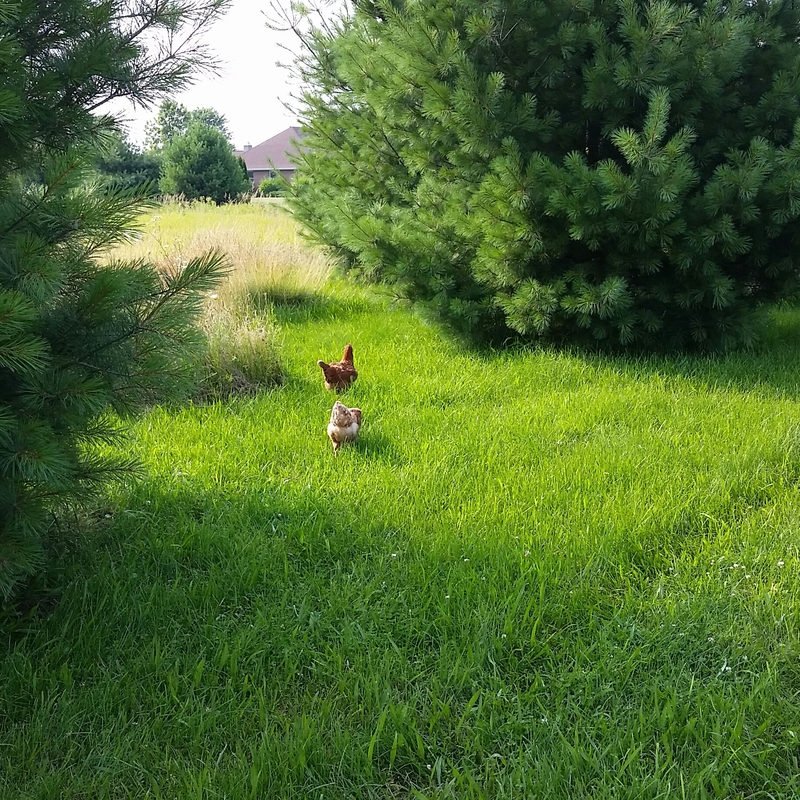 There were a few chickens out, running around the pasture. An odd sight since we knew that they had all been in the playpen the night before. A feeling of dread seemed to fill the air around the coop. A few chickens clucked guiltily and turned away in shame as we approached. An unconcerned, perhaps uncaring four strutted around the pen…seeming to congratulate each other on…something, but what? The rest warily huddled together in one corner of the pen. We started the count…only 13. We opened the coop only to find an empty roost and bare laying boxes. A pile of feathers. A former chicken. With foreboding, we searched for the other errant bird. There it was, under the coop. A solitary egg rested nearby. The last egg it would ever lay. Feeling eyes upon us, we looked back at the bold ones. There they stood, brazenly looking at us as if daring us to question them about the cause of the two deaths. It was at that moment that we noticed. The casualties were two of the Nine Blondes. The four birds who so fearlessly stared at us were not just the Old Ones. No, two were the new girls. Had they joined forces and sacrificed two of their compatriots to form a new alliance? To prove that their loyalties now belonged to the Old Ones? One look at the huddled group of birds gave us the answer. The only remaining question? Would peace now reign? 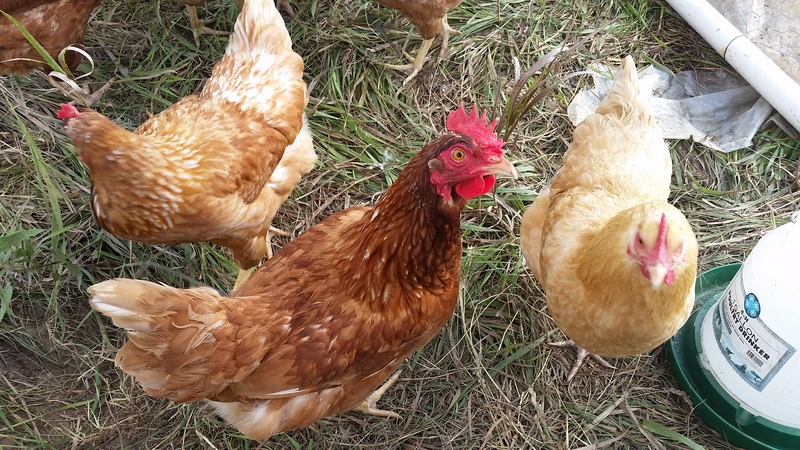 This entry was posted in Chickens!, Life, The Chicken Wars, Writing. Bookmark the permalink. That’s got to a hard one to take. I hope peace reigns soon! Yes it was! I am not completely sure it was the other chickens, but if it had been a fox or coyote I don’t think they would have just disappeared.